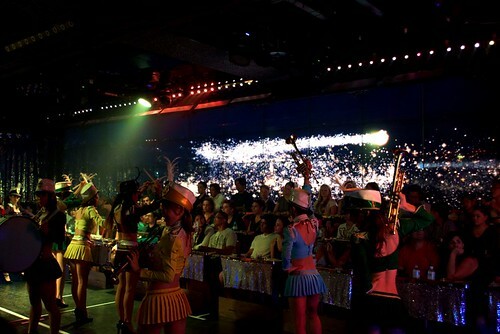 Three years have passed since their opening in 2012, and the increase on popularity seems to not have a limit. 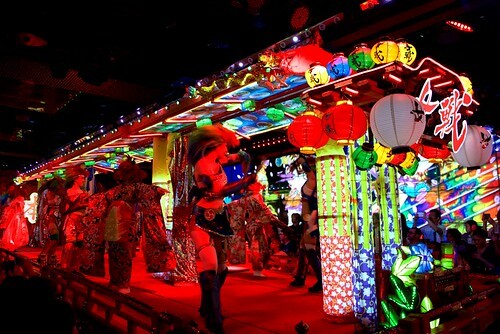 Already becoming one of the main must do things in Tokyo, the Robot Restaurant is the king of shows and hype in Kabukicho. 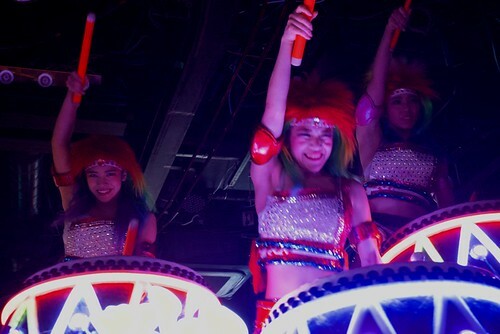 Already seen the show twice for the last two years, and the show varies from time to time, boosting their customers to come again. The first time, the hype was up to its name as promised. 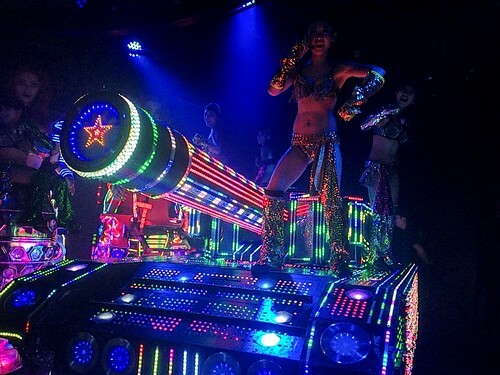 Light show, robots, dinosaurs, girls, and so on went through the 90 minute show on a parade of madness. 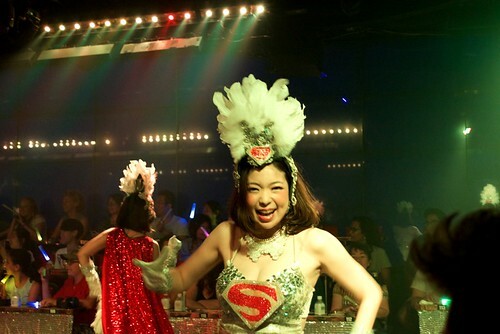 Would you adventure into one of the most popular shows in Tokyo? Advance booking is highly recommended! 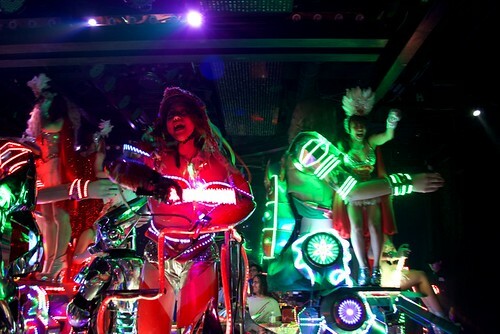 Get hyped at Robot Restaurant, Tokyo. 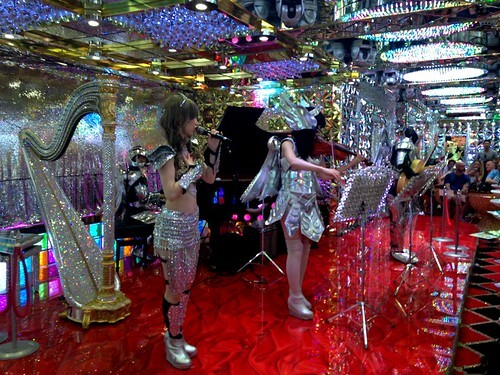 Once you enter the hall you get translated to another dimension, one where everything is shiny, even the toilet is made of gold! 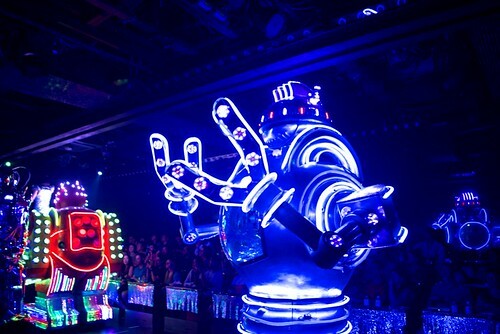 Make sure to arrive earlier to watch the Robot Restaurant preshow, Tokyo. 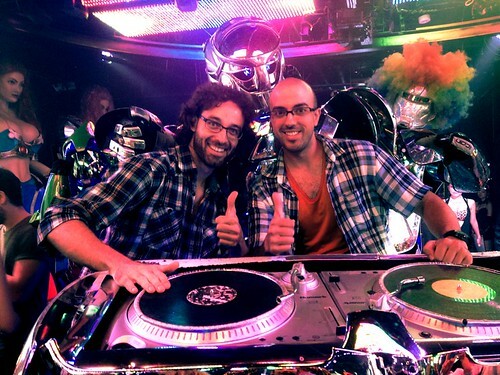 The second time, it lost a bit of the unexpected effect on me, as it is mostly the same show. Anyways, during those 90 minutes the changes in some parts of the show were surprising and got me back to hype. 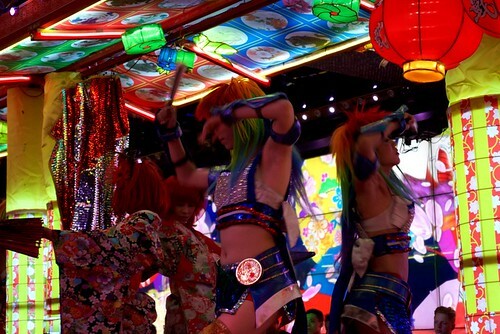 If you’re in Tokyo and want to get a taste of the night scene, head to Kabukicho district. 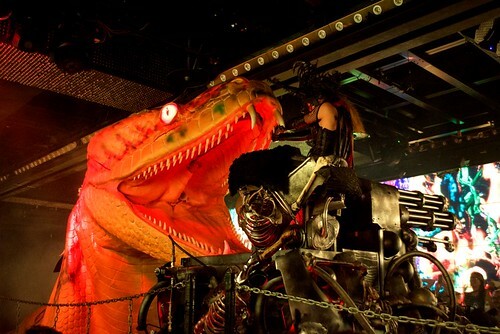 Stepping into Robot Restaurant will be the boost that will make your trip an experience from another world. 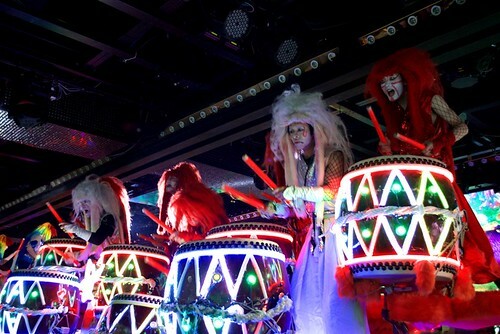 Hype seal of approval for Robot Restaurant.